Grunge heros Soul Asylum will perform at Riverhead’s Suffolk Theater tonight. Quadruple Platinum Grammy winners Soul Asylum are known for anthems “Runaway Train” and “Misery” (Somebody to Shove”) – staples to this day of alt-rock, modern rock, and classic rock radio. They’ll be coming to The Suffolk Theater tonight at 8 p.m. They will be joined by The Meat Puppets – the seminal alt-rock band that heavily influenced bands such as Nirvana, Sound Garden, Dinosaur Jr., and Pavement. Meat Puppets gained additional exposure for their pairing with Nirvana on MTV’s Unplugged series – as Nirvana not only performed with the band but played 3 Meat Puppets songs. More information is online here. 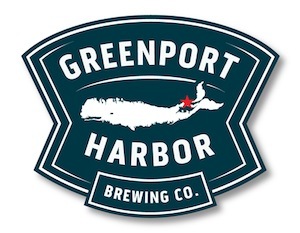 The Greenport Harbor Brewing Company in Peconic hosts a weekend full of Barbecue, Beer and Blues. All weekend, from 11 a.m. to 5 p.m. both days, the brewery will host musicians including Rob Europe, Joe Allegue, Kirsten Thien, Chuck Columbo, and the Hiro Suzuki Blues Band. Saturday will be people’s’ choice, where you are the judges. Pick your favorite competitor after tasting what they have to offer. On Sunday the participants will duke it out as sanctioned judges will be evaluating each category. More information is online here. 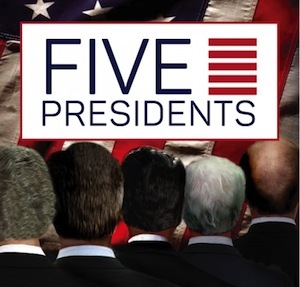 Bay Street Theater’s second production of the 2015 season, “Five Presidents,” opens this weekend, and has been extended for an additional week, to July 19, by popular demand. The play, written Emmy Award-winning writer Rick Cleveland (Six Feet Under, The West Wing, and House of Cards), is a funny and incisive drama is about the meeting of America’s most exclusive club – the ex-presidents, who are obliged to gather together on the day of Richard Nixon’s funeral. More information is online here. The Beacon’s full performing arts listings are online here. 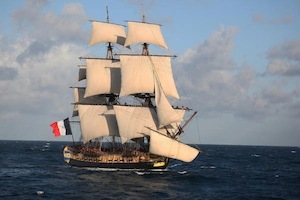 A week before Lafayette’s frigate arrives in Greenport as part of the Tall Ships celebration, Francis Dubois will give a presentation on the Marquis de Lafayette, his accomplishments in the service of both France and the United States, and the role of his beloved wife Adrienne. If you want to know why Lafayette has been named “The Hero of the Two Worlds ” please join Greenport Village for this lecture on Friday, June 26 at 7 p.m. at the Old Red Kindergarten Schoolhouse, Front Street, in Greenport. More information is online here. “The Intruder” by Adam Miller. 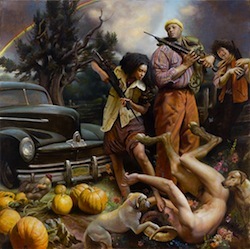 Sag Harbor’s Richard J. Demato hosts “The Revolution Hasn’t Started,” a provocative collection of contemporary visions, capturing the tension of a society balanced on the edge of change and discovery. An opening reception will be held June 27 from 6 to 8 p.m. The show is on view through July 20. More information is online here. Twelve North Fork hen houses will be open for visitors during this self-guided tour sponsored by Cornell University’s horticultural research farm in Riverhead. Participants can pick up maps to the henhouses at the research farm at 3059 Sound Ave. in Riverhead beginning at 10 a.m. Saturday. A $5 map fee per vehicle will help pay for the costs of the event. More information is online here. More information on gardening and farming events is online here. Southampton Rose Society’s Garden Tour will be held on Saturday, June 27 (rain or shine) from 10:30 a.m. to 4 p.m. There are beautiful private gardens on the tour in and around Southampton and all will be in bloom, offering stunning beauty and magnificence. More information is online here. If you’d rather spend your time on the North Fork, step back in time and experience “old” New Suffolk. Saturday’s annual house tour to benefit the New Suffolk Waterfront Fund offers a rare peek into several of New Suffolk’s most fascinating vintage homes and buildings. More information is online here. This is it! Southampton’s biggest carnival of the year at the Southampton Elks Lodge. All weekend, there will be rides, games and food and there will be fireworks just after dusk on Saturday, June 27 (Rain Date: Sunday, June 28). The carnival begins June 26 at 6 p.m. and opens at 4 p.m. on June 27 & 28. More information is online here. 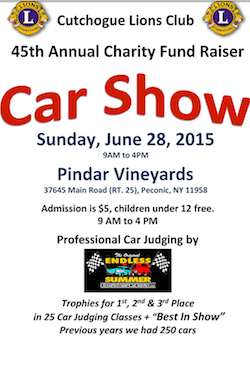 The Cutchogue Lions Club hosts their 45th Annual Charity Fundraiser Car Show Sunday, June 28 from 9 a.m. to 4 p.m. at Pindar Vineyards, with professional car judging by Endless Summer. Admission is $5, children under 12 are free. More information is online here. The East Hampton Trails Preservation Society hosts a full day of biking on Block Island Saturday, including interesting terrain, delightful shops and friendly people. Meet at the Viking Ferry in Montauk at 9:30 for a 10 a.m. departure. Make reservations ASAP for the round trip. They will be back in Montauk by 6:00 P.M. More information is online here. Also in the natural world this weekend, birder Frank Quevedo takes birders to Montauk to look for woodland species on Saturday at 8 a.m., The Southampton Trails Preservation Society hosts a kayak paddle on North Sea’s Scallop Pond and the South Fork Natural History Museum hosts a family exploration of the salt marsh at Munn Point. The Beacon’s full events listings for the weekend are online here.